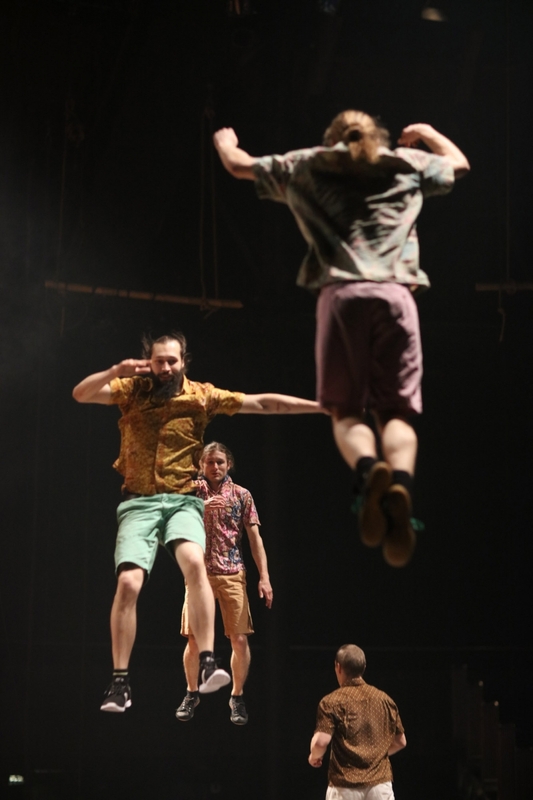 Award-winning Finnish ensemble Race Horse Company took to the stage as part of CircusFest 2016, getting pulses racing with their raw acrobatic skills, edge-of-your seat stunts and a twisted sense of humour. The Roundhouse Events Team invited some very special guests to experience the show for themselves. Josef Jammerbund, Head of Events at The British Fashion Council said: “What a remarkable, fascinating show. 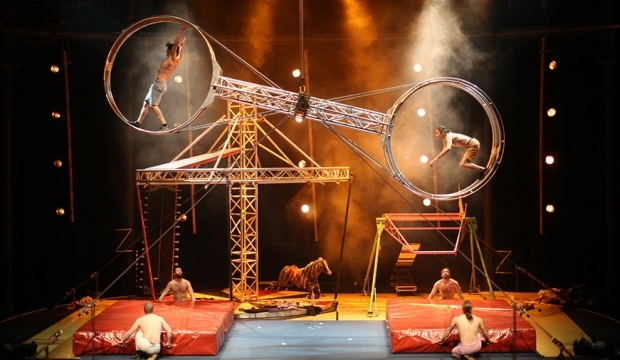 It truly shows how versatile the Roundhouse is for all sorts of different events”. 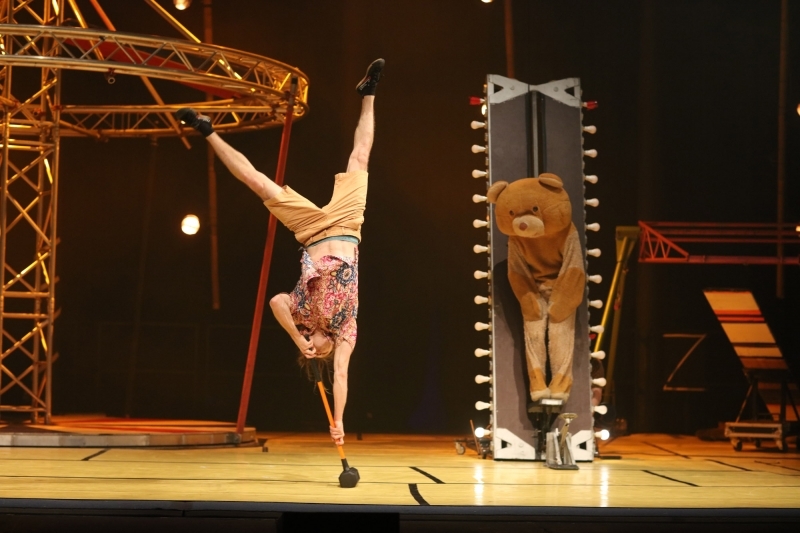 Super Sunday featured the epic wheel of death, a human catapult, trampoline stunts and a special appearance from a rather weathered-looking teddy bear. Our Guests were particularly impressed by the tetterboard, which saw the show’s stars propel each other higher and higher incorporated with death-defying leaps and flips, and a rather amusing catapult stunt where one rather beautiful star was blasted across the stage into a waiting canopy. Race Horse Company was set up in 2008, in order to bring audiences a completely new kind of contemporary circus based on aesthetics of chaos, humour and surprise.